Andrea Haffar didn’t originally set out to work in the hospitality industry. But three years after graduating from university, while on the hunt for the best growth opportunities in her field of human resources, she just so happened to find work in a local hotel. It soon proved to be a perfect fit. Mrs Haffar, the Director of Human Services at Rosewood Tucker’s Point, also liked how diverse the industry was. She got to meet people from all around the world and deal with employees from all walks of life. The 40-year-old has championed getting more Bermudians involved in the hospitality sector for many years. She started out working with Bermuda Hotel Association and the Department of Workforce Development to organize career fairs. More recently she’s teamed up with Bermuda Hospitality Institute’s Start programme to provide internships to students at the Bermuda College during the summer months; and joined the BHI to speak at school assemblies during Hospitality Month. “We’ve had some really promising students come out of the BHI’s Start programme,” she said. “One student Yahni worked three summers with us and he is working now to complete his university degree. “We had another young girl this summer who decided to stay on a part time basis. Tucker’s Point deals with many luxury clients – from millionaires to high executives – many of whom are used to the highest quality of service, Mrs Haffer explained. 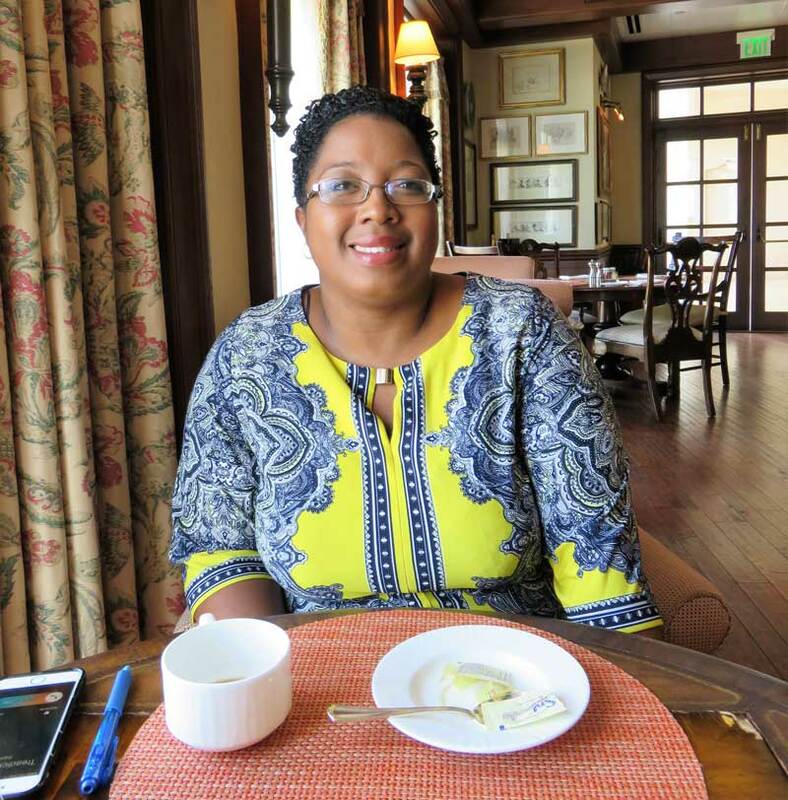 She looks to hire Bermudians who have a good personality – people who are pleasant, refined and resourceful. “It’s important for young Bermudians to get into the hospitality industry because of this whole experiential travel trend,” she said. “More affluent travelers that’s what they want – to talk to locals and do what the locals do –go where they go and eat what they eat. “They want the real authentic experience and want to speak and interact with locals and sometimes they may go to different parts of the hotel and ask why aren’t there any locals in the restaurant? She said there was a host of career opportunities in tourism. “We need Bermuda’s best and brightest just like the reinsurance, banks and government does,” she said. “Tourism is a pillar of our economy and there was a time especially when unemployment was high when people would say ‘This person is unemployable, but maybe they can work in a hotel. But if they can’t make their time or have a bad work ethic what can we do with them? “This is a seven days a week/ 24 hour a day industry so the jobs that are 9 to 5 are few and far between in hospitality. But for those who are willing to accept that in certain areas you will have to work weekends and night shifts, there are great rewards. « Column: What Happened Between 2006 – 2016?